Sorry for the long absence! School, as always, has been super, super busy. As I move forward with this blog I'm really going to have to put a more concerted effort into updating regularly. Even despite my slow updates, I have kept knitting. I had this big idea earlier this Fall to design and knit my perfect sweater... I didn't get very far. I had never knit a sweater at all - how was I supposed to design and fit my own? So below is step 1 of 'jenny knits herself a sweater finally.' I chose the Sage pattern (Click Here!) as it's knit in the round with raglan sleeves. I royally messed up the first sweater I tried to make by seaming terribly. This time I wanted to choose a pattern that has as little seeming as possible. 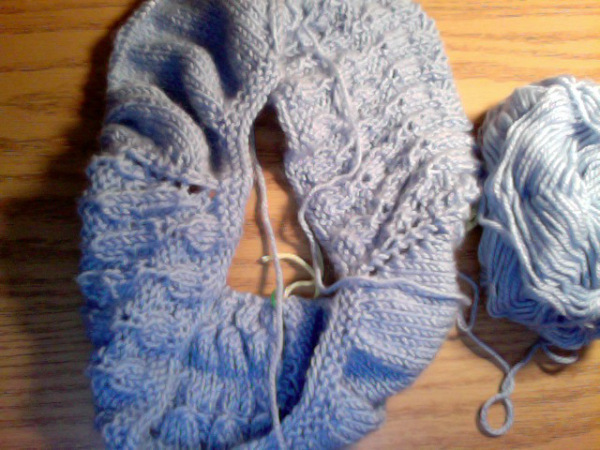 I'm not sure if I'm in love with the Morrish Lace pattern, but it's coming along nicely. I haven't hit any major snags (yet!). As it is only my second attempt at a sweater, I didn't want to buy a too expensive yarn for it. 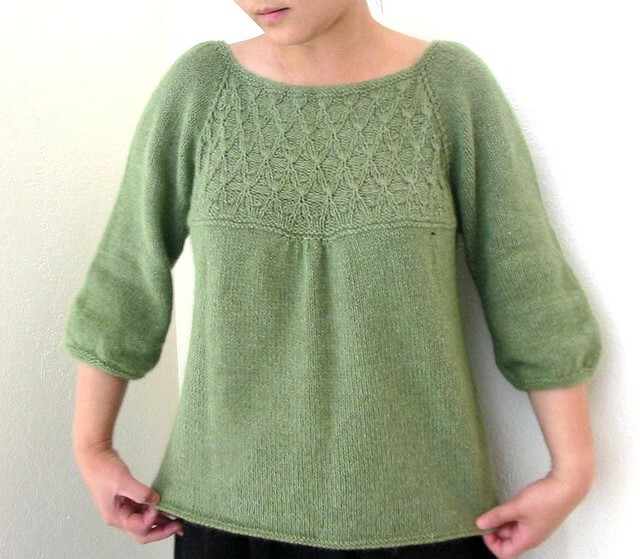 I'm using Ella Rae Amity worsted weight on sale at Webs. I also didn't swatch (yikes!). I know its a heavier yarn than called for but I figured that this is really just an experiment anyway... right? UGh.